Hiya guys! I've been wanting to do this kind of post for months, but could never find the time to put it together properly. That ended up working to my advantage because it allowed for more improvement. 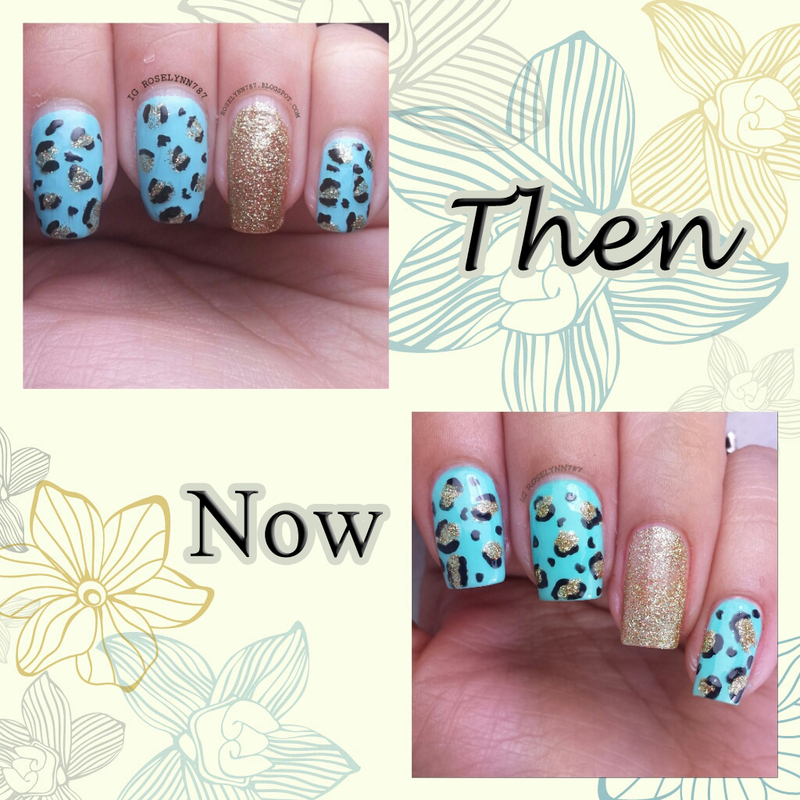 As today's title suggest, I'm going to be showing you guys a 'Then & Now' mani. 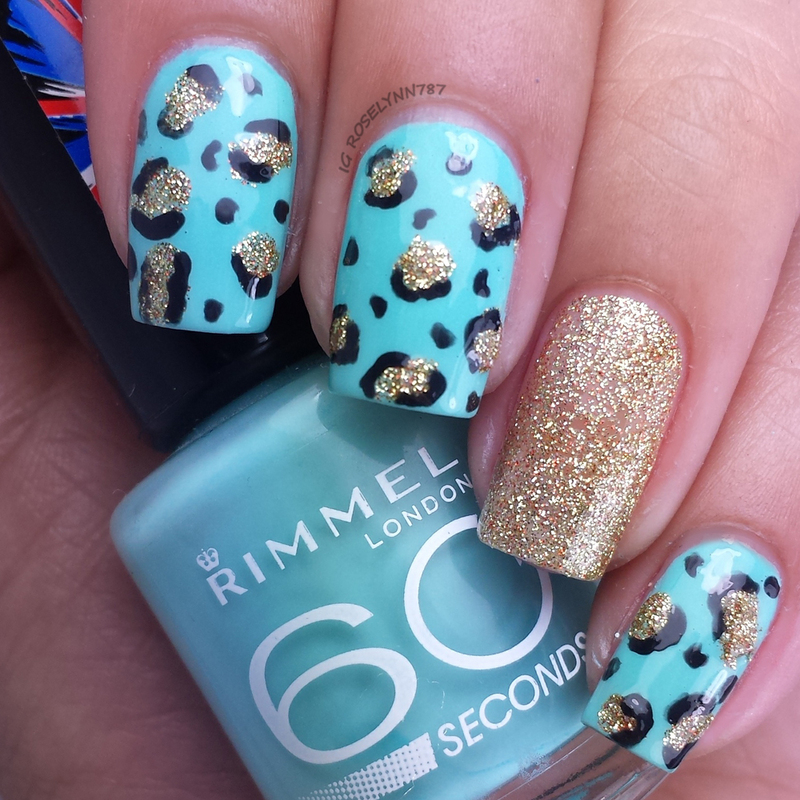 Basically the concept is you take a mani which you've done in the past and recreate it to show your improvement. Not only have done this leopard print look as a tutorial in the past, but I have now created a video tutorial to accompany it. I'm so excited, my first step into making video tutorials! I do plan on making more so I need requests guys, leave me down in the comments please. A year later and I'm still in love with this look just as much as I was back then. Except now it actually looks pretty decent, haha. It's been quite the 55+ weeks, which basically is around this time last year. I'm not a planner at all but somehow I managed to time it to where it's exactly one year ago. So crazy. I'm hoping you guys can tell the difference between the 'then' and 'now' haha. Or maybe you're like my hubs and are thinking they look the same to me. But in all seriousness, it has been quite the journey. Back then I didn't file my nails properly or use any nail care products. I didn't do clean-up and I would lighten up my photos so badly. Not to mention those terrible watermarks. I've learned so much in this past year but I'm far from done grasping everything in the nail world. There is something worth learning every single day and the important thing is to always keep pushing yourself. For this mani, I used the exact same polishes as last year Rimmel London 'Mintilicious' and Hello Kitty 'Gold Star', This year, however, I used black acrylic paint instead of polish to do my outlining. It gives me much better control over what I'm doing so if it's not something you've tried I say go for it. Most of my designs (and a lot of artists) use acrylic paint for the details, it makes life so much easier! So let me know what you guys think! I love hearing from you. I'll be working on more video tutorials this weekend so let me know any suggestions. The video tutorial for this mani will be available on Instagram this afternoon @roselynn787. It is so cool to see then and now! I see the differences and appreciate the progression. Blogging is great because you can see your improvements every month and year to year. There is so much to work on and you are never finished learning. Thank you so much. It's crazy, I look at my photos from last year and always feel dumbfounded like "Why did I think that look good?!" Lol. I'm really glad I could give you the push you needed to try acrylic paints. It's one of the best tools at our disposal! Fixing a mistake is so much easier than trying to with polish. The old one is so well done! But your new one looks much crisper! This is a fun prompt! I might just try it myself!